Give us 5 days and we'll give you a sport for a lifetime. If you have ever thought about picking up a golf club, either for the first time or returning once again, you can make golf your sport for a lifetime. 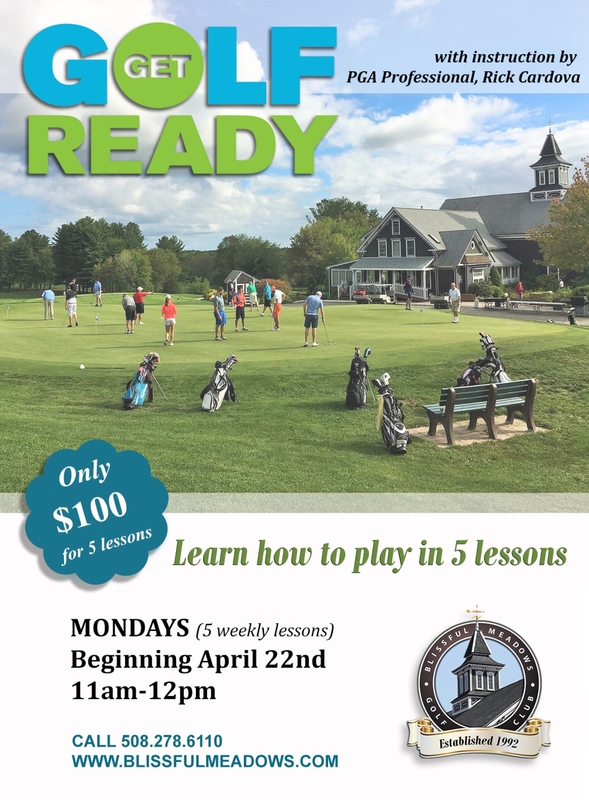 In cooperation with the PGA's "Play Golf America" campaign, the Get Golf Ready Program is designed to teach you in five short lessons everything you’ll need to know to step onto a golf course and get out to play with confidence. Have a group of friends that would like to have your own clinic? Can’t make Mondays but still want to participate in a clinic?